A range of helium leak detection systems has been released to suit the differing needs of science laboratories and manufacturing industry. Leak detection specialist Leybold is launching the Phoenix 4 family of helium leak detectors to meet increasing quality requirements. This innovative product is equally suited to the demands of research and development as for those of industrial applications – from securing the ultra-high vacuum demands in CERN’s particle accelerator, to industrial applications such as leak detection in the Hyperloop vacuum transport system or for semiconductor production. With its ergonomic design and improved measuring characteristics, the fourth generation Phoenix sets new standards – especially in terms of operating comfort, response times, helium sensitivity and reliability. Moreover, the stationary and mobile models are easier to handle and maintain than their predecessors. For example, it is now possible to change the filter without removing the housing. This compact, versatile helium leak detector is available in three classes, the Phoenix Vario, Phoenix Quadro and Phoenix Magno, which are designed for various customer applications with their different pumping speed configurations. The thorough facelift focused on improving the monitoring and control functions, as well as the need to meet the increased demands on leak detection performance. Accordingly, the Phoenix 4 can be operated comfortably via a colour touch display or wirelessly with any Internet-capable mobile device, due to the integrated web server. The optimised design of the display allows users to intuitively navigate through the menu and the sensitive touch displays and push-buttons can be easily activated. 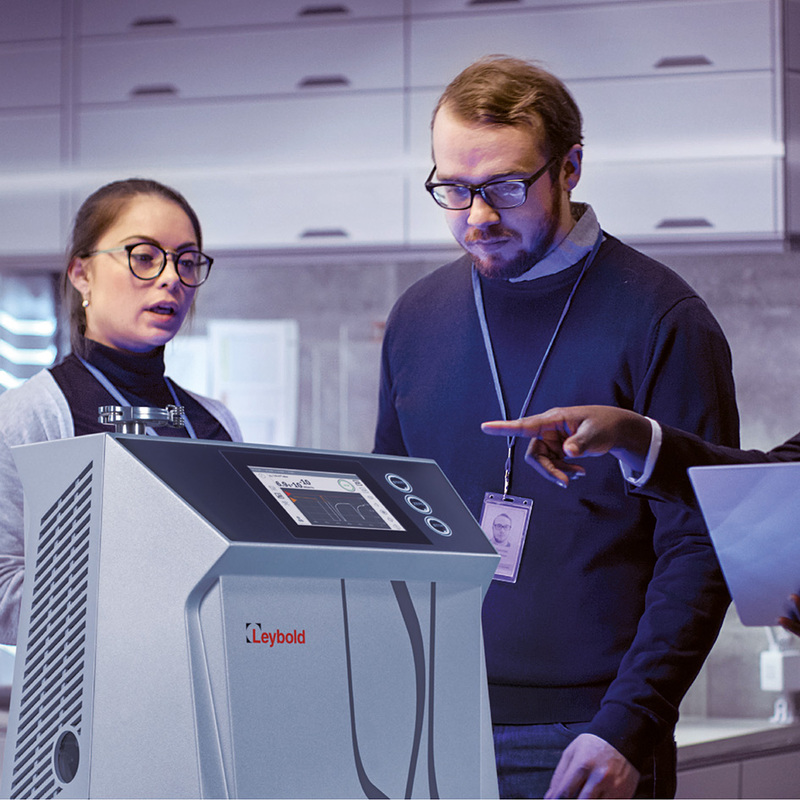 “In the Phoenix 4, we have added useful features to the proven equipment features of the predecessor L300i,” explains Dr Sina Forster, the responsible Leybold product manager. For example, the number of interfaces for data acquisition, communication and system integration has been increased. Additional communication and bus interfaces are now integrated directly at the leak detector alongside with new, optional interface modules. These enhanced communication interfaces facilitate easy data export and the creation of test reports. In addition to the new design and the intelligent connections, the Phoenix is also defined by its “inner values”. The entire Phoenix-4 series is based on a uniform technology platform and contains the identical measuring system, not least for economic reasons. The models and versions are differentiated by the backing pumps and pumping speed configurations. As the smallest in its class, the Phoenix 4 Vario is a suitable space-saving system in special research applications. The designers went without an integrated backing pump leaving more flexibility, not least due to its low weight of 30kg. The next variant in line, the Phoenix 4 Quadro, has an oil-sealed TRIVAC rotary vane vacuum pump as backing pump. In the dry version of the Quadro, a diaphragm pump is used. This variant is perfect for use in analytical technology, the food and packaging industry as well as in automotive production. The model range is rounded off with the most powerful leak detector, the Phoenix 4 Magno for large test volumes. In the oil- sealed version, the SOGEVAC rotary vane vacuum pump is installed, whereas in the dry version, the oil-free scroll vacuum pump SCROLLVAC is utilised.